Karen Weber-Mendham was a part-time librarian and mother of three when she turned her family’s propensity for garlic cheesy bread into a cool million. Cheesy fever inspired the family to enter the 2013 Lay’s potato chip competition, “Do Us a Flavor,” challenging customers to create a new chip flavor to hit store shelves that year. Lays was swamped with 3.8 million submissions as the contest winner was given the better of two options: $1 million or 1% of the flavor’s net sales over a year. Beyond fame and fortune, Weber-Mendham was given the opportunity to ring the bell at the New York Stock Exchange and was flown to Los Angeles for the big reveal with Lay’s endorsement celebrity Eva Longoria. What was Lays up to in this fun-loving campaign? Were they desperate for creative ideas? Hungry for the inspiration only average citizens could bring? Or did they strike gold by tapping into a conversation with everyday Americans? Word-of-mouth promotion has been identified as the most valuable form of marketing, tagged “the original social media.” According to Nielsen, 92% of consumers believe recommendations from friends and family over all forms of advertising, and trusted referrals are most likely to drive sales for your company. 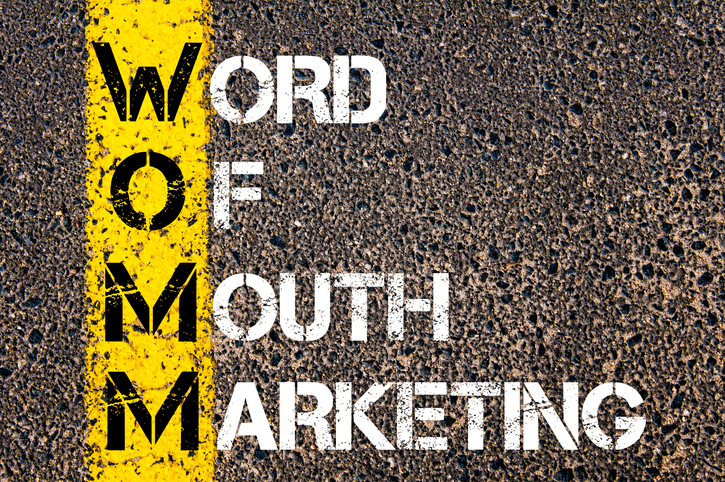 But in an American Marketing Association survey, 64% of marketing executives say that, though they believe word of mouth is the most effective form of marketing, only 6% have mastered it. Make a commitment to listen. What would that truly look like in your context? Allow your customers’ space to be heard and to contribute to the company as a whole. Engage with clients through e-mail surveys, online question and answer boards, social media service options, or by highlighting customer success in your printed newsletters. When customers are heard, they feel connected and valued. Allow people reasons or avenues to talk to each other or to talk about you. Like a common chalkboard with a fun question in your favorite coffee shop, invite clients into the conversation and give them tools to chat. Encourage people to talk about your services and products with you and with others by creating helpful, shareable content, including icons to your favorite apps that will make it easy for your fans to spread your name around! Give your fan base tools to become brand advocates. Let them know their opinions are important and look for fun ways to spread the word. To create buzz around the Ford Fiesta, Ford gave away a number of cars and asked ambassador “influencers” to test drive and share their experiences. During “Do Us a Flavor,” Lays received over 1.4 million Facebook and Twitter votes, one of its biggest marketing campaigns ever. While you may not give away a car, give away tools to get your fans advocating: ask clients to pass coupons to five of their friends, to give you an online review, or be part of a fun selfie or Snapchat contest to boost your reputation. Get the conversation started and pave the way for new growth!